Enjoy our Canadian flag printables - they come in all shapes and sizes, and you'll find everything from jigsaws to notebooking pages! Adopted in 1965, the National flag of Canada is often referred to as the ‘Maple Leaf’. It consists of a red field with a white square at its centre. In the middle of the square is an 11-pointed maple leaf. Although there is no significance to the number of points, the maple leaf has been a symbol of Canada since the 18th century. 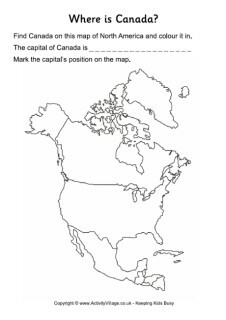 Print and fold this little booklet - choosing from lined or blank - and use it to store information about Canada. You will need the folding instructions for our origami booklet. We have 4 versions of our Canada flag bookmarks to print, we have colour versions aswell as black and white versions to colour yourself. Print out the Canadian flag and turn it into a jigsaw with our cutting guides. It's quick to make and you can tailor the puzzle to suit the age of your child. Here are two useful notebooking pages for Canada, both featuring the Canadian flag. The first has a space for a map or illustration and the second is lined throughout. Use our notebooking pages to keep notes and research on, or write about, Canada.